Got some spare cash and don't know where to invest it for high returns? You're not alone my friend. In fact, there are several others out there with millions stashed up in their homes or lying idle in their savings account without any clue of where to invest it. I too was in that same position before I discovered treasury bills in Nigeria. And was opportune to meet a lot of people I call brothers that invest in TBills here in Nigeria and are so selfless & keen at letting others know about it through this thread on Nairaland. 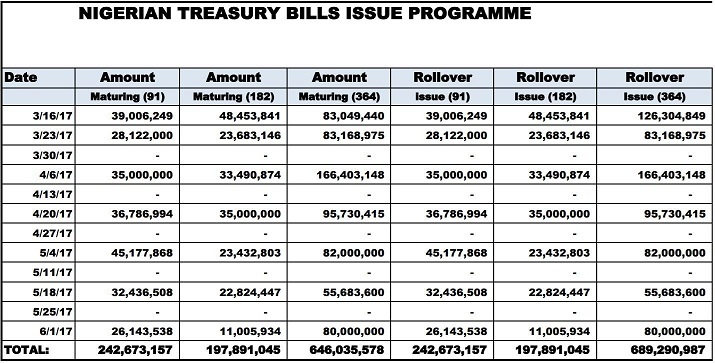 Treasury bills, in short, TBills is a short-term debt obligation backed by the government of a country with a maturity of less than one year. The government benefits from it in the sense that they use the money raised from selling T-bills to fund various public projects, such as the construction of schools and highways. T-bills can have maturities of just a few days up to the maximum of 52-weeks. But common maturities in Nigerian treasury bills are three months (91 days), six months (182 days) and one year (364 days). 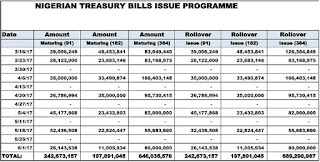 The longer the maturity date, the higher the interest rate that the T-Bill will pay to the investor. With TBills, you will get to know that leaving your money idle in a savings account, or putting it in a fixed deposit is a very huge mistake and a total waste of time. 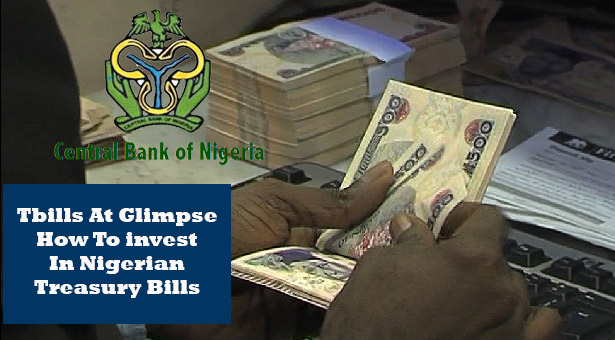 As fixed deposit rates are less than half that of treasury bills. In fact sometimes, after investing in fixed deposit, the banks, in turn, reinvest the money into TBills for higher returns. Which is why they keep hiding TBills from us and pretend not to know about it when you ask about it. Even if you are risk averse. And find it hard to start up a business on your own. Or invest in others due to the high possibility of it going down - Tbills is for you. Because it's a low-risk investment - almost 100% risk-free. TBills are differentiated based on the market where you get if from. We have the primary market and secondary market. With each having different rates and features. ==>1. Primary Market: According to CBN, this is a market where new issues of securities are available for sale. The market for new issues in all government securities is the Issues Office, Central Bank of Nigeria. ==>2. Secondary market is the market for the trading of previously issued securities. ==>1. The primary market is for new issues. While secondary market is where trading of previously issued securities are carried out. That is here you buy your Tbills from people willing to liquidate theirs at the bank. ==>2. T-bills primary market rates are usually higher than secondary market rates. ==>3. To invest in the primary market, you have to wait for the auction week (2 weeks from the previous auction). While for the secondary market, you can walk into the bank any time of the week to buy from whatever the bank has for sale at a negotiable rate. ==>4. Duration for primary market TBills are usually 91 days, 182 days and 364 days. If you see any odd duration like 72 days, 179 days or 272 days then you are being offered TBills from the secondary market. To invest in the Nigerian treasury bills, investors have three different maturity periods/durations to pick from which is the 91 days, 182 days and 364 days. With that of 364 days having the highest rate of 18.6% followed by 182 days at 17% and 91 days at 16.4% (from the last T-bills auction). It's usually best to go for the 364 days tenure. Why? Tbills interest is calculated based on per annum. Meaning if your 364 days Tbills investment amount is N100,000 and your annual percentage rate is 18.6 percent. The interest over one year is N18,600. Divide that amount by 12 to calculate the amount of interest per month, which is N1550. But if you go for 91 days at 16.4 percent with the same investment amount of N100,000, the interest will be N4,100 for the 3 months. And N16,400 if you invest 4 times in a year (remember 364 days gave N18,600). ==>1. It's easy. You just have to pick a bank of choice. I prefer Stanbic IBTC as they have the best rate for tbills in Nigeria. Although Firstbank, Fidelity, GTBank, access bank, diamond bank and the rest is also a good hit. Zenith na nogo area... Their rates are usually low. ==>2. After choosing a bank, its time to head over, and open an account with them using your ID card and NEPA bills or as required by the bank. ==>3. Load the account with the supposed amount you wish to invest in treasury bills and then wait for the auction week. Note; as stated earlier, Nigerian treasury bills auction usually come by every 2 weeks. As at the time of publishing this post, the last auction was April 20th, 2017. So you can project by 2 weeks and do the maths to know the next auction. See the table below. ==>4. After loading the account, and knowing the auction week, just head over to any branch of your chosen bank on the Monday of the auction week to inform them about your interest in investing into TBills. Bids are usually submitted by the banks to CBN on a Wednesday, but the deals are effected on a Thursday. 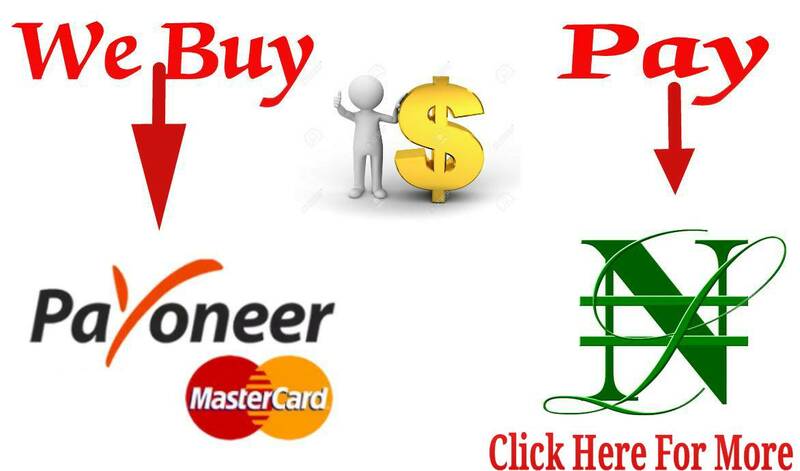 Ideally, it is better to submit the application latest on Monday preceding the auction day. To enable your bank compile it on time. It will also be good to do it on time if you want to invest in the primary market instead of secondary market. Because the new rules placing the minimum TBills investment amount to 50 million makes the banks match up interested parties amount to reach 50 million and then invest on their behalf. If otherwise, then you will be left with the secondary market for your treasury bill. ==>5. They will give you a form with provision to fill in your Face Value ( the amount you wish to invest in the TBills), rate, name, account number etc coupled with other forms containing terms and conditions for agreement and signing. ==>6. When done, submit and that's all. You will get a call regarding the rate before the bids are placed. ==>The higher the money, the bigger your interest. Same goes to any other form of investment. ==>Before the new rule from Federal Government, one can easily go to his or her bank and bid for a particular rate at which he or she wants for their TBills. However, now you can only do that if you have N50 million and above you wish to invest. Otherwise, you have to go with your bank's rate. ==>Treasury bills rate in Nigeria 2016 was around 10%... But we have seen it grow from 7.5%, 8% and 10% for 91 days, 182 days and 364 days respectively in 2016 to as high as 16.4, 17.5 and 18.6% for 91 days, 182 days and 364 days respectively (Stanbic IBTC auction rate for April 5th, 2017) for more information regarding treasury bills rate, check out CBN previous T-bills rates. ==>You can use the power of compounding to make a fortune with TBills. After a particular one matures, reinvest it along with its interest. Have a plan... Don't say only the big guys with large capital enjoys it. They all started somewhere. You too can start small and gradually move to the top by reinvesting your interest. After some time, when you might have been able to grow your capital, you can lock it up in a Federal Government Bond (FGN) over a long period and receive interests every 6 months. This alone can cover your core yearly expenses. I call it the easiest risk-free way to have your money working for you. Check out what this guy from Nairaland does in the quote below. Bros, Feb2020 FGN Bond coupon payment is 15.54%, locked down till 2020. Coupons are paid in February and August every year since the year 2015. N8 million naira bond gives me a total of N1,243,200 as annual interest. Interest is paid twice ie February coupon is N621,600. August Coupon is N621,600. My house rent is 600K and its paid in September annually. Child skool fees for the year is not over 300K. The difference goes back into Treasury Bills with other incomes. note that the N8 million naira was an aggregate of different TBills i have bought over the years which i locked down for a long term bond. This is one of more. ==>1. Question: If the bank I bought my TBills from folds, what happens to my money? Answer: Your Treasury Bills are warehoused by a Custodian. So even if a bank or Investment House closes, the custodian would be the party that you will need. Besides, these days, banks don't shut down. Instead, they are sold and a new management will take over from where the other stopped. ==>2. Question: What are other investment alternatives to TBills in Nigeria? ==>3. Question: Can I get back my money before the tenors finishes? Answer: You can liquidate your TBills at any time to get back your capital. But you will have to pay a penal charge usually determined by your bank. Contact your bank for more info. ==>4. What is the minimum and maximum amount I can invest in Nigerian Treasury Bills? Answer: The minimum amount you can invest is N100,000. Whilst the maximum can go as high as hundreds of millions of naira. ==>5. Question: Which bank has the best rate? Answer: As at the time of hitting the publish button for this post, Stanbic IBTC happens to be the bank with the highest rates for treasury bills in Nigeria followed by Fidelity, Firstbank, GTB etc. Sadly, that's all we have for you on treasury bills and how to buy some for yourself. But I guess you've already learned more than enough required to start investing in Tbills. So quit reading from here and start acting and earning. You may also like read this post on making money with Amazon Kindle as a Nigerian. If you find this post helpful, pls appreciate us by sharing it. And if you have questions not treated here that you wish we could answer, don't hesitate to ask using the comment box below. We reply in seconds. Thank you for this post. I have been looking for something like this for a long time.